4 X 1 US Gallon box. 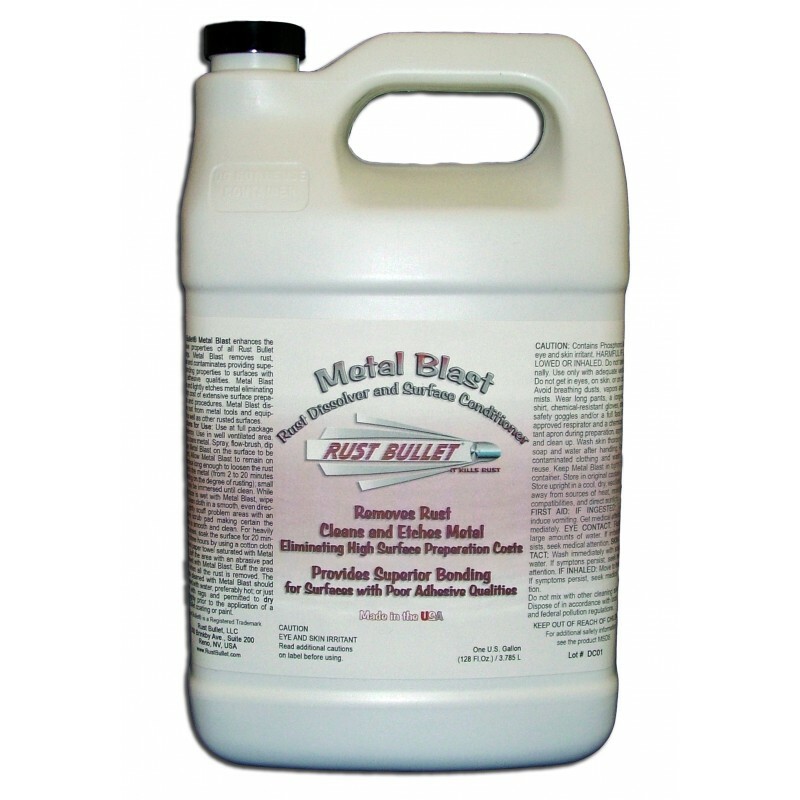 Rust Bullet Metal Blast Rust Dissolver, Surface Cleaner and Conditioner: provides superior bonding properties to surfaces with poor adhesive qualities. Rust Bullet Metal Blast Rust Dissolver, Surface Cleaner and Conditioner. Rust Bullet Metal Blast is a cleaner and conditioner for metal that will provide superior bonding properties to surfaces with poor adhesive qualities. Metal Blast will remove surface rust and properly etch the metal for better paint adhesion. Metal Blast enhances the adhesive properties of all Rust Bullet Coatings on any surface including aluminium and shiny polished metal surfaces. Metal Blast delivers years of extra performance to any paint project. 4 X 1 Gallon box special saver deal. BUY NOW! Limited time offer.